MANILA — The Philippines has called for joint patrols with the United States in the disputed South China Sea, where Manila has festering territorial dispute with Beijing, a defense department spokesman said Thursday. The remarks came after the Philippine's Supreme Court upheld a 10-year security agreement opening the door for the US to operate more troops and equipment out of the Southeast Asian archipelago. "There is a need for more collaborative presence in the South China Sea. 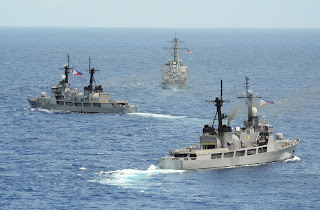 Thus, in addition to freedom of navigation operations of the US, we are also suggesting that we patrol the area together," spokesman Peter Paul Galvez told reporters. 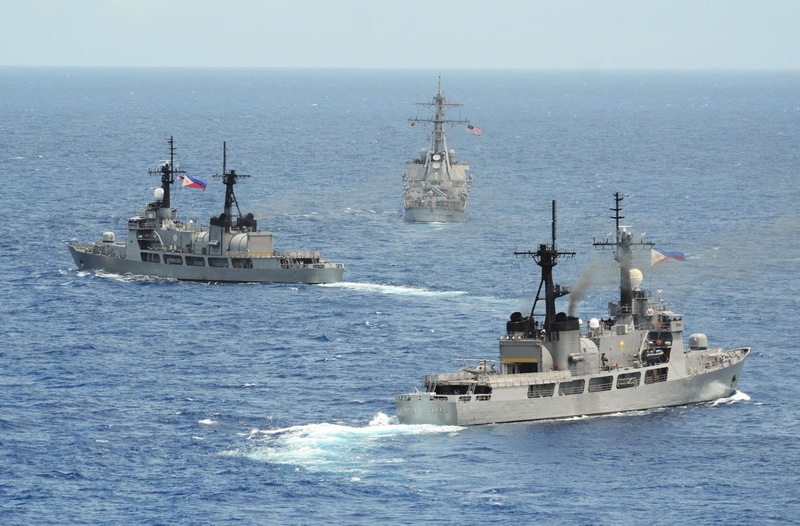 Galvez did not specify where in the South China Sea the joint patrols would be conducted. China has conflicting territorial claims with the Philippines in the waters, as well as Brunei, Malaysia, Taiwan and Vietnam. While the United States does not support any of the claims, it has warned China against trying to restrict air and sea passage through the Sea — a major shipping lane, rich fishing ground and potential source of mineral resources. Tensions flared last month when the US flew two B-52 bombers close to flashpoint islands that have been artificially built up by China, reportedly by mistake. Philippine and US foreign and defence secretaries have also just concluded a meeting in Washington to discuss their security ties. The Philippine defence department said in a statement the meeting had concluded "with the US side reiterating the US ironclad commitment to the defense of the Philippines." "The US side emphasised that it will not allow China to control the South China Sea and will act to ensure that freedom of navigation is respected," it added. The Philippines, which has one of the weakest militaries in the region, has been seeking closer defence ties with the US, accusing China of increased aggressiveness in the disputed waters. In April 2012, after a tense stand-off with Philippine ships, Chinese vessels took control of a shoal just 220 kilometres (135 miles) off the main Philippine island of Luzon. The Philippine frigates BRP Gregorio del Pilar (PF 15), left, and BRP Ramon Alcaraz (PF 16), right, are underway with the guided missile destroyer USS John S. McCain (DDG 56) during Cooperation Afloat Readiness and Training (CARAT) Philippines 2014 in the South China Sea June 28, 2014.